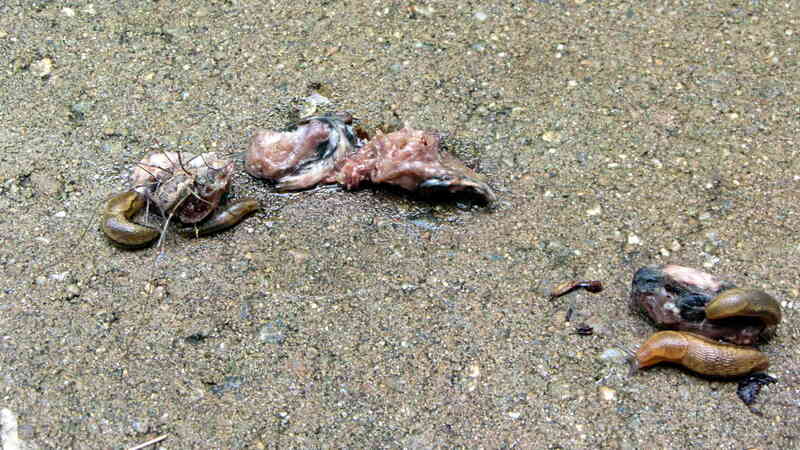 It looks too loose for an owl pellet, but hawks also blurp up the indigestible bits. 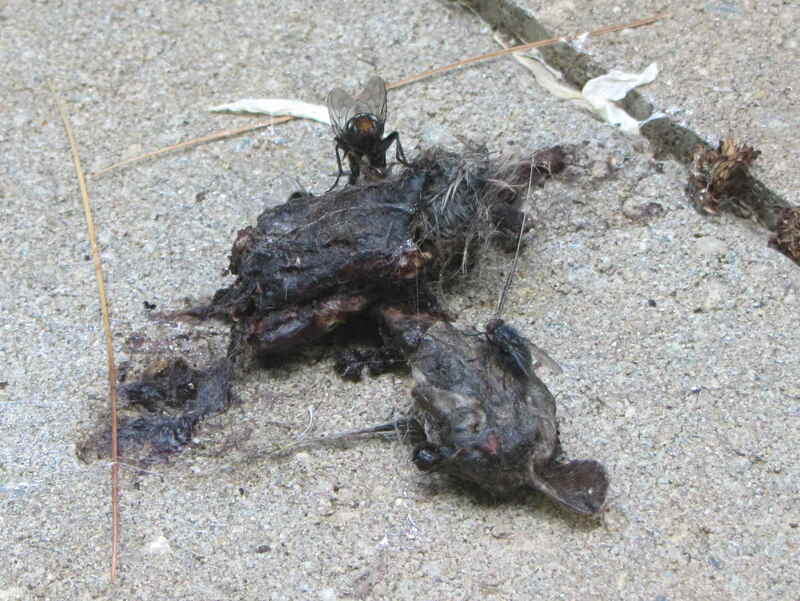 We have definitely have a pair of Cooper’s Hawks nesting in the area again; most likely, this is what’s left of the south end of that chipmunk. I’m not sure if the snail over on the right is a participant or a bystander. 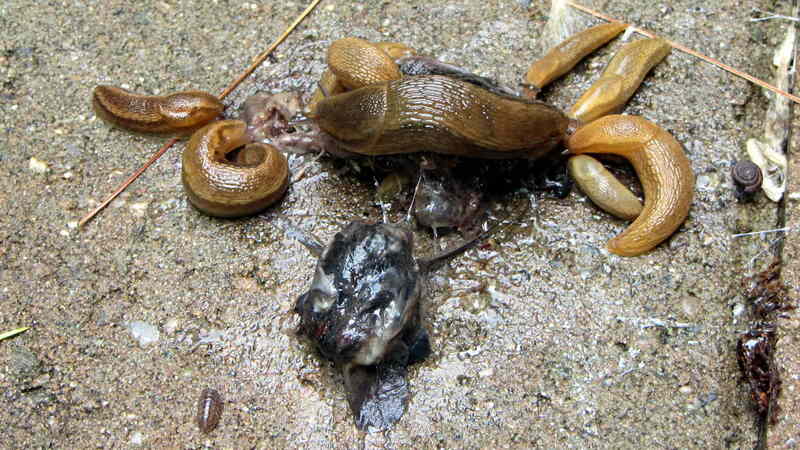 It’s certainly outclassed by the slugs, which are basically soft-shell snails. 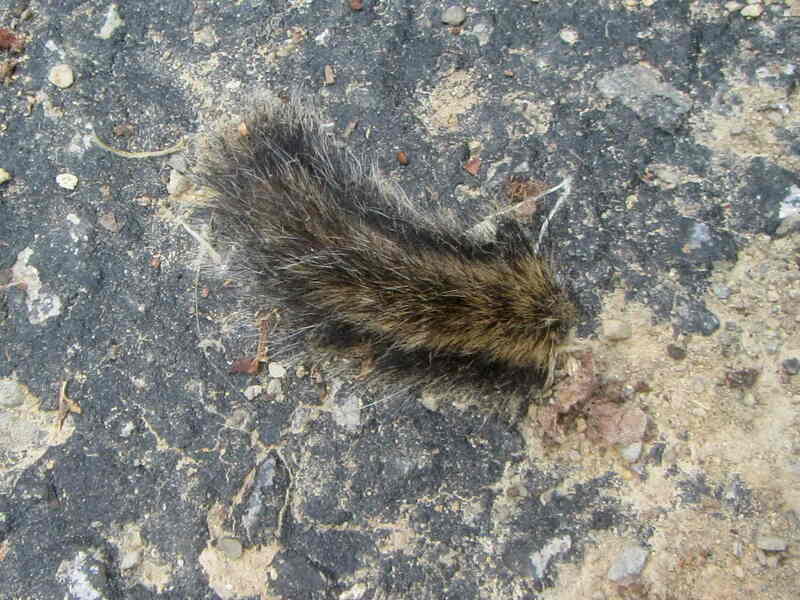 After the crowd left and the remains dried out a bit, one chunk had a tuft of brown-tipped fur with gray roots that definitely looks like it came from a chipmunk. Good work, hawks: go, go, go!